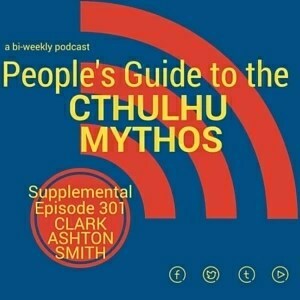 We are back with more Clark Ashton Smith, and we talk about a cool kickstarter and a great mythos book. Thank you for listening! Help support PGttCM by buying our books. I recommend their Lovecraft, Sci-Fi and Horror collections.